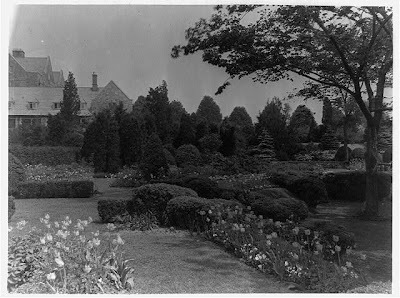 The reflecting pool and gardens at George Dupont Pratt's 'Killenworth' estate in Glen Cove. Click HERE for more on 'Killenworth'. Photos from the Library of Congress. the place looks very well maintained and the landscaping is well done. i wonder who lives here? it's such a big house. but the place looks lonely. 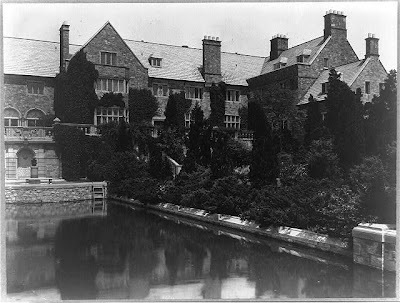 The house is the U.N. retreat for the Russian delegation. Has been for many years.